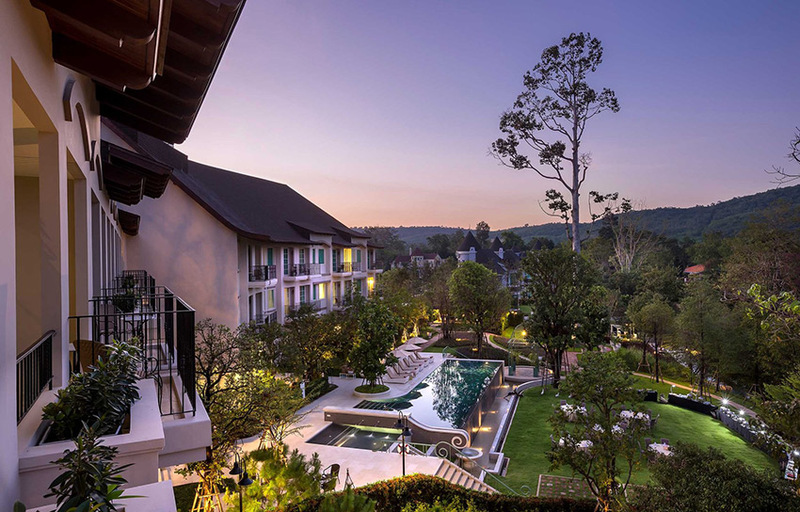 The site of the UNESCO listed Khao Yai National Park is mere moments from the new boutique U Hotel Khao Yai with its tasteful lashings of bourgeois Parisian chic, opened in November 2016. 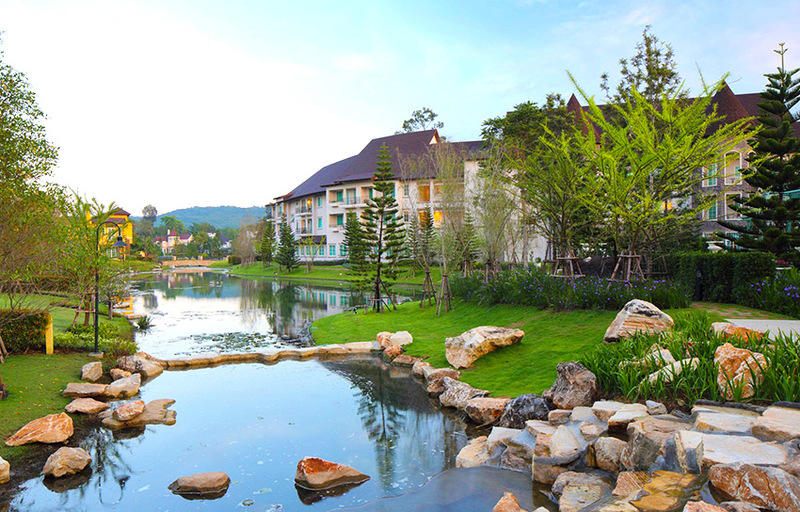 Sitting at the feet of Khao Yai, which translates to “Big Mountain”, U Hotel Khao Yai allows you to swan around in decadent European luxury only 2 hours from the cacophony of Bangkok. Unlike the native wildlife locals, think gibbons and pig-tailed macaques with scampering Sambar deer plus the odd wild elephant, you will be able to recline in delicious opulence in a pseudo French country estate. When you want to pull on the Timberland hiking boots and play “Dora the Explorer” with or without your kids in tow, you will have more than 2,000 square kilometers of lush forest canopy broken by dappled sunlight amidst limestone mountains with sandstone outcrops and steep granite slopes to play in. There is over 50 km of biking and hiking trails meandering throughout the nature reserve, where dipping under a gushing waterfall is de rigueur. Continuing the French classic country elegance parody, the resort is a village styled Euro wonderland of landscaped gardens featuring only 63 guest rooms and suites. 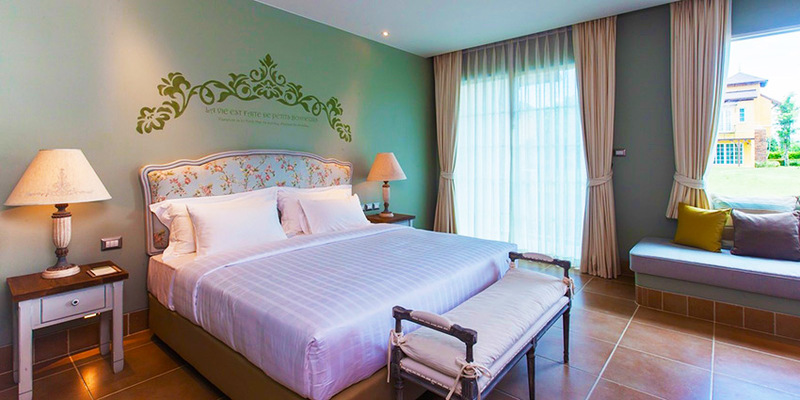 U Khao Yai will be the 7th U Hotel in Thailand, offering each guest the iconic brand concept benefits of free Wi-Fi and breakfast “served wherever and whenever” your heart desires, 24 hour room use no matter what time you check in, plus your own personal selection of pillow, soap, tea and music choice, waiting for you in your guest room’s iPod. 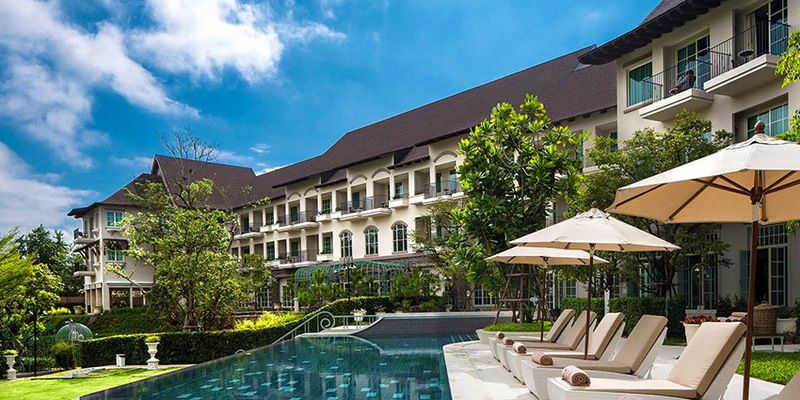 There are complimentary bikes to jump onto, a fully equipped gym, an infinity swimming pool and an historical library to totally immerse your mind in the local culture and heritage of the area. 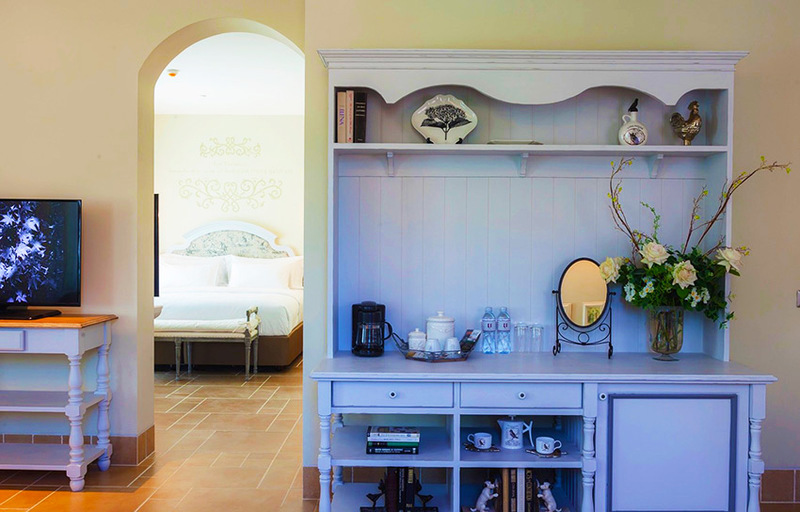 The guest rooms (28 deluxe, 31 superior and 4 suites) are dressed in plush furnishings of relaxing pastel colors to soothe and relax the mind as well as the body. 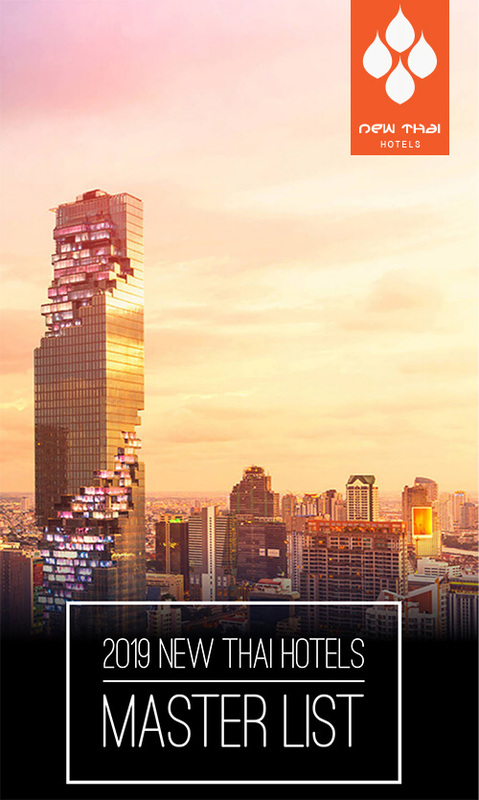 They are all are fitted out with every conceivable amenity one could possibly wish for. 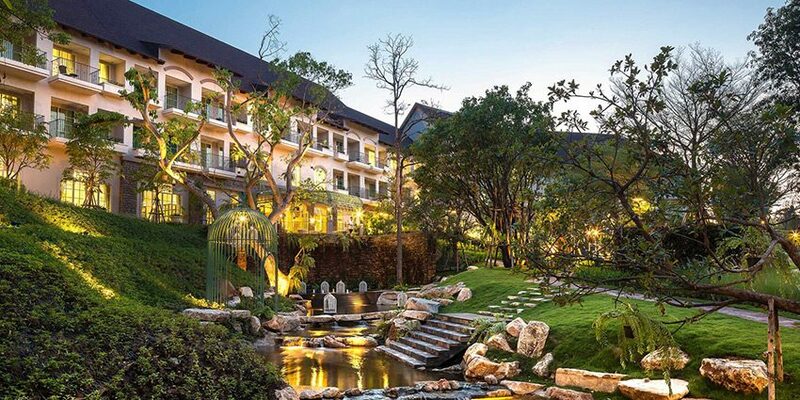 For those wanting to hold a conference or special event, the U Khao Yai can set the scene for an unforgettable outdoor function, a private meeting or a conference and there is a stunning ballroom space for the ultimate bash. When the urge overtakes to satisfy the hunger pangs, there will be the Lobby Lounge offering some light French bites and the odd cocktail or wine in an intimate cozy atmosphere, whilst the Papillon Restaurant will be dishing up creative Thai, French and Western cuisines in a stylish and relaxing haven. This entry was posted on Monday, December 12th, 2016 at 2:53 pm and is filed under Openings. You can follow any responses to this entry through the RSS 2.0 feed. You can leave a response, or trackback from your own site.